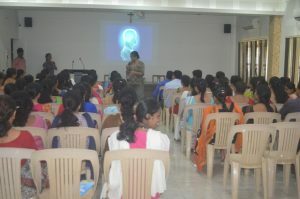 On 26 May 2017 the Resource person Mrs Sabrina Britto introduced the topic in a very unique way by giving us an activity on Peripheral vision about the unconscious mind which has this ability to calm down even in a rush situation and when we calm down we give the way to other people without pushing and causing damage. This helps us as teachers to pay attention to the whole class and address the immediate needs of students. We also made to understand why students shift into a comfortable position in the classroom based on the primary representation system which is visual , auditory or kinaesthetic. 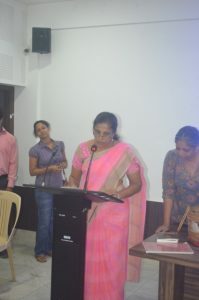 Then there was a discussion on anchoring, We worked on anchoring and how it works at the classroom level. We learnt to stack positive experiences and helped to diffuse negativity. Through the chain of excellence that is respiration , physiology , state and behaviour and just by changing the physiology and the respiration , Certain behaviour can be changed. 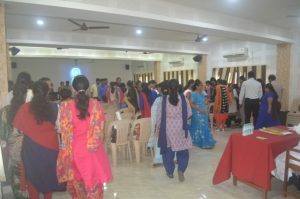 Three minutes simple meditation was also suggested to create self awareness and build up confidence which was demonstrated through a exercise beautifully. 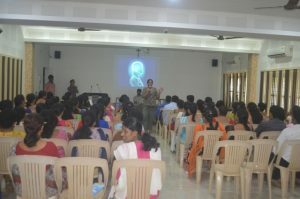 Some queries were raised by the teachers and they were answered well. She also emphasized teachers give at least 5- 10 minutes for themselves every morning and evening in doing simple exercise and breathing exercises in order to remain physically and mentally fit. 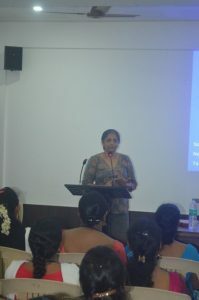 This workshop was certainly enriching, motivating and inspiring for all the teaching staff.